Posted byAtulHost	 October 6, 2018 April 17, 2019 Leave a comment on How to Build a Website from Scratch and Market it? You want to start your own online business or want to start your website to represent your physical store. Of course, you need to go through a lot of preparations. Do not assume, that without knowing anything, and by just hiring third-party services and outsourcing things your site will work and bring you loads of cash. It doesn’t happen that smoothly until and unless you develop some basic understanding of what is what in online business and website making and maintenance. Digital marketing to web design, hosting service choosing to social media usage, all have to be mastered or at least the basics must be understood so that you are not considered a layman by the experts you hire. Else your ignorance can be taken advantage of in every step, resulting unfortunately in a poor business and premature shutdown of the website or online store. To avoid that, and shine in whatever venture you are taking, knowledge is the biggest support. These are the steps to be followed generally for starting a website work from scratch and run it fully functional. The first thing to be done is to make the website design. For this, you will have to talk to a professional website designer and create a layout as per your purpose, product, and choice. 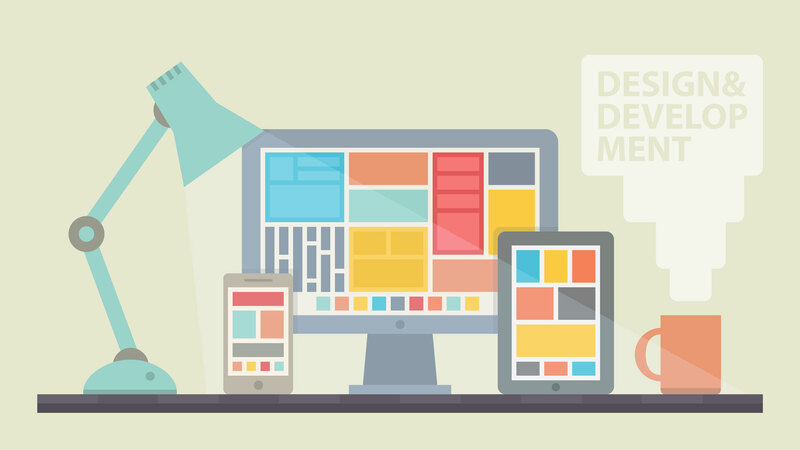 Your website success depends on the design at the first look. How users will perceive the site, what impression they will make in mind about the site, how attracted they will be, how good the site will serve the user demands, how good user experience the site would offer, all would depend on the sign. Hence the contact and aid of a good designer are much needed here. Coding of the website is done after the site frame is decided. For this wireframing and prototyping are done first. These may seem technical jargons to you. However, once you learn the basics of web design and development steps, you will be comfortable with the terms. Coding of the site depends on all that. However, there is an alternative to bypass coding and design altogether. This is done by choosing a smart content management system like WordPress. You may also try this the other way, and get the code for the website all accommodated inside a chosen WordPress theme. But the utility of WordPress CMS is to give the layman a well organized coded structure to fill the content, upload media files, and start the website. Hence you may never need coding as such if you take out time to explore WordPress and manage all the site contents and updates through WordPress only. Themes and designs in WordPress are uncountable, and every mind will get some food from the vast resource. Buying the domain name is perhaps one of the famous landmarks in making a website. Through purchasing a domain name, you give your website identity. Once the domain name is assigned to the site or booked for the site, you know what the website will be called and referred by henceforth. Booking the apt hosting plan, after seeing all the hosting options that you may get for the website is the next step. You must select the apt hosing depending on your website size, purpose and needs, and the traffic anticipated on the site. This makes for one expense for the site which will be ongoing. But there are plans and ways to make this economical, and you may plan to save money on hosting. You will have to learn the importance and role of SEO and marketing to bring your business to the limelight online. This is done only through the proper art of marketing. You must get the best marketing team to work on the site and to do a proper SEO on the site with great content marketing. This way the site will soon rise in the search engine rankings and will show in search results against targeted keywords. When the website will get the recognition which will bring it the business and revenue from sales etc., or the popularity you need for the site. Through the process, you will get chances of branding, and you must express needs for applying common archetypes to the website too so that your branding partner can work on this. Branding is all about creating an image of the website with all the goodness and unique sales points before the visitors so that people look at it with absolute trust and identity. To create this image the site must be made into a brand. And for this SEO, marketing, and social media have significant roles. Social media marketing is perhaps one of the smartest steps in marketing a website to get traffic to it. And this is where you can make the site most popular too. Hence taking help of social media sites for marketing will always help in creating a brand image, increasing sales and revenue, spreading business, gaining popularity, and working for the cause. The steps above are mandatory to start with working on a site. If you wish to see your website in a nice position and utterly functional stage, you will have to plan things appropriately from the first step. In the process, you will learn many things which will make the journey exciting, and you will realize that you know so much about website building right from scratch. Should You Buy Premium WordPress Themes or Free Ones?